Merry Christmas!! May all of you have a joyous and most loved holiday!! Today ( and everyday) we should give thanks and remember for the reason why we celebrate this wonderful day!! I wanted to share with you two last Christmas cards!! I pray for those that are not able to spend this Christmas Day with their families or loved ones - my mind is particularly with the families of Sandy Hook Elementary. May God comfort and keep them and hold their hearts tight as they try and heal from all the pain that they are dealing with right now. Finally - thank you to all that follow me and my blog and my crafty journey! I appreciate you all!! Happy Holidays!! LSC #48 - Make It Shine! Welcome back everyone to another post! We are two days away from Christmas - and I am ready as I will ever be. It is time for another Lawnscaping Challenge - and it is the last one for 2012!! I can't believe we are about to enter into a new year!! Time flies, people! :) For this challenge - its all about making things shine!! 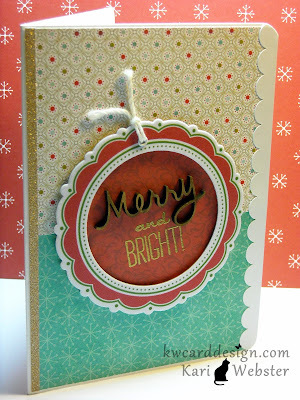 Who doesn't love a pretty card, layout or project that shines!! 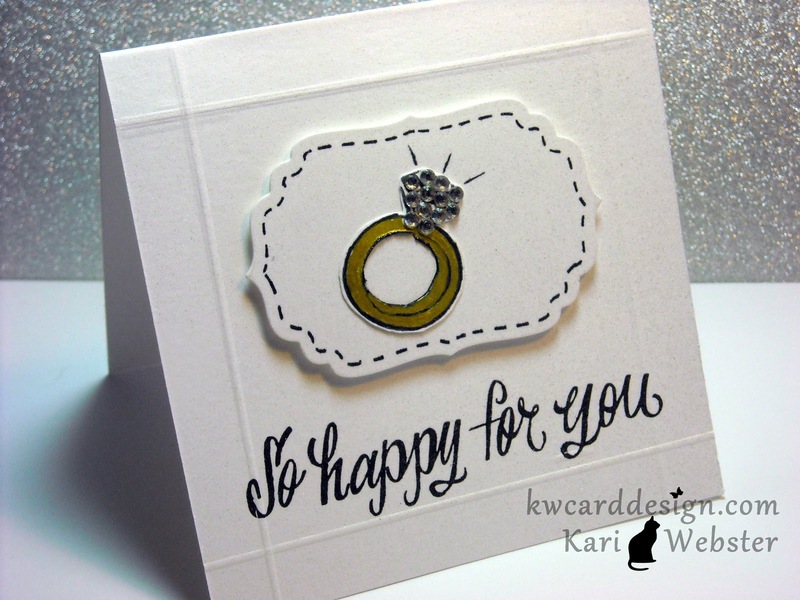 I wanted to keep my card simple and let the "shine portion" take center stage. Here is my card. 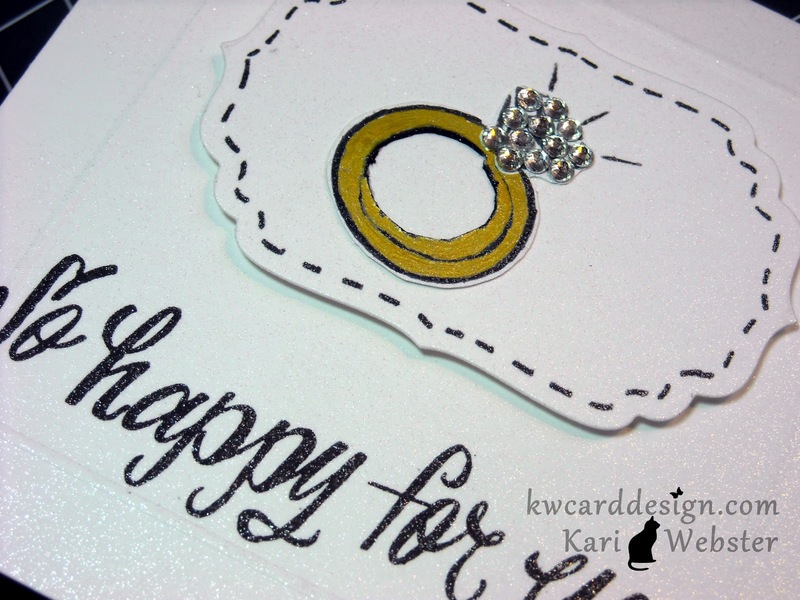 This time of year is a great time for couples to get engaged or married - what better than a ring full of bling for my card :) I used the ring from the Lawn Fawn set Happily Ever After, and added some rhinestones to really make the ring shine! I used my Uniball Signo Pen in gold to color the ring itself. 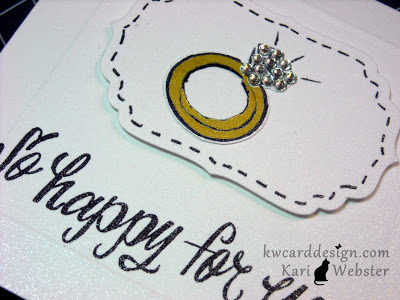 I die cut a piece of white card stock from one of my Spellbinders dies and added my ring to the die cut and mounted that with foam adhesive. My sentiment comes from one of my favorite Lawn Fawn sets Grand Greetings and I stamped that using this black ink. For a final touch - I added some Ranger Perfect Pearl Mist to finish everything off. What a way to finish off the year with this challenge. I wish all of you a Merry Christmas and Happy Holidays!! 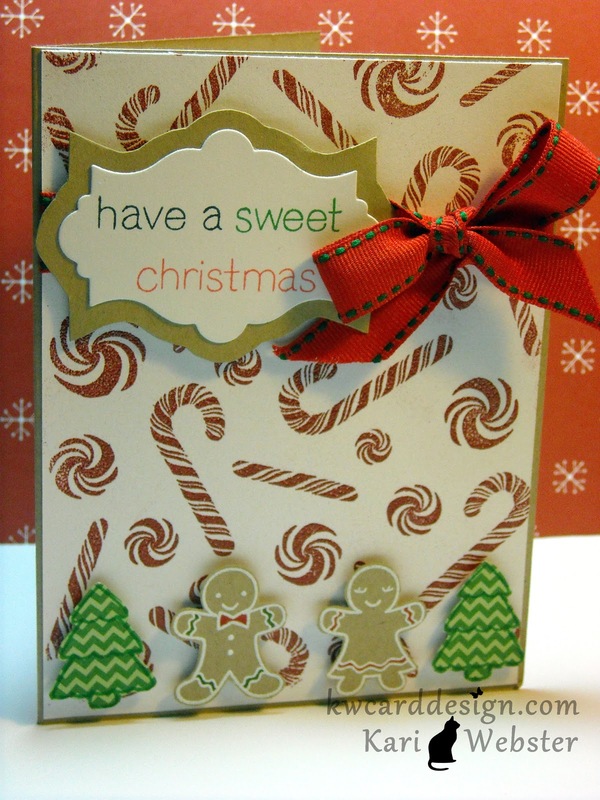 Have a 'Sweet' Lawn Fawn Christmas!! Hi all!! We are a week away from celebrating Christmas! Can you believe it!! I am not done with shopping either - but luckily I won't be seeing some of my family right at Christmas - so I still have a little time to buy what is left on my list :) Today, I wanted to share with you a Christmas card I made using my beloved Lawn Fawn stamps :) If you follow me regularly - you know how much I adore all things Lawn Fawn - and that I feel my stamp collection wouldn't be the same without Lawn Fawn in it. I started with a piece of white card stock slightly smaller than a A2 size card. 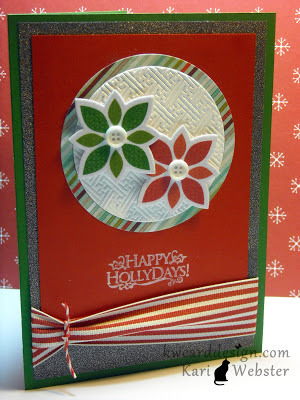 I have this peppermint background stamp that just screams to be embossed!! I stamped out two of the Christmas Trees in a chevron patterned paper. I then stamped/embossed the gingerbread in white onto kraft card stock and 'fussy' them and then added a bit of color with some of my Memento Markers. I popped all of those pieces on my white background piece with dimensionals. For some fun - I stamped out the sentiment in black, green and red for something different instead of straight black onto a die cut piece using one of my Sizzix Framelits from Stampin' Up. 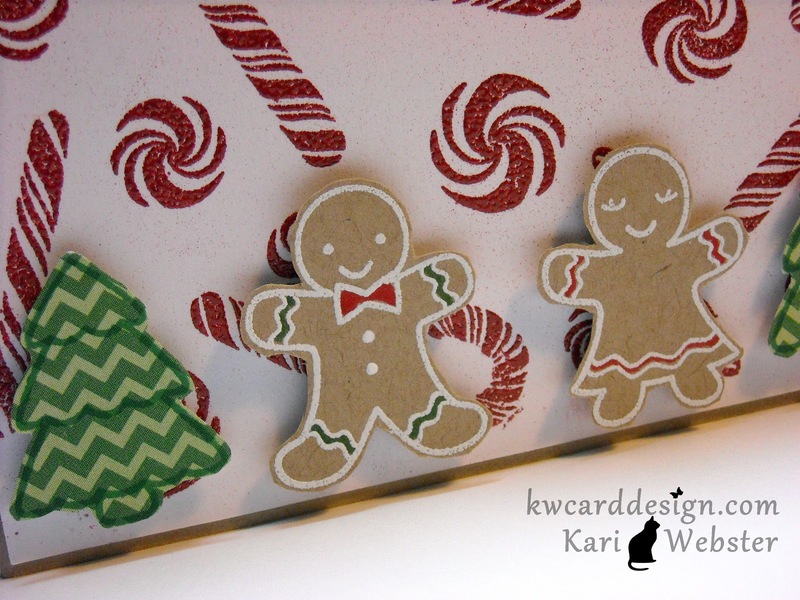 To finish up the card - I added some red grosgrain ribbon with green stitching to "tie" everything together - and mounted my panel onto a piece of kraft card stock. I am not sure if I will get to post another project for all of you before Christmas - so from me to all of you Merry Christmas and Happy New Year!! Hi crafty peeps! Sorry I have been M.I.A. for a couple of weeks on my blog. Ya know how things go - you get busy with life, and other things take over! I've been around though looking at all the wonderful crafty projects in blog land - and wanted to get back into the swing of things. Today I bring you my entry for the latest Lawnscaping Challenge. It is all about color this go round - three colors to be specific - blue, red, and kraft. Since Valentine's Day products and projects are showing up around blog land - I thought it would be adorable to make to dolphins in love :) That is why I've named this card dolpIN LOVE. Maybe cheesy - maybe I am reachin' there a bit on the title - but at least the card came out cute! I used "Critters in the Sea" and did some reverse stamping. Reverse stamping can be tricky, but if you practice on it - you will get a pretty good stamped image. That is why I like doing this technique with Lawn Fawn stamps because their images have a thicker outline. 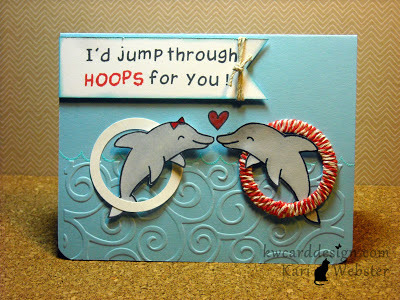 I used the "swirls" Cuttlebug folder and did heat emboss some waves of water in blue embossing powder. I made my hoops from a 1 3/8' circle punch and a 1 1/4" circle punch. 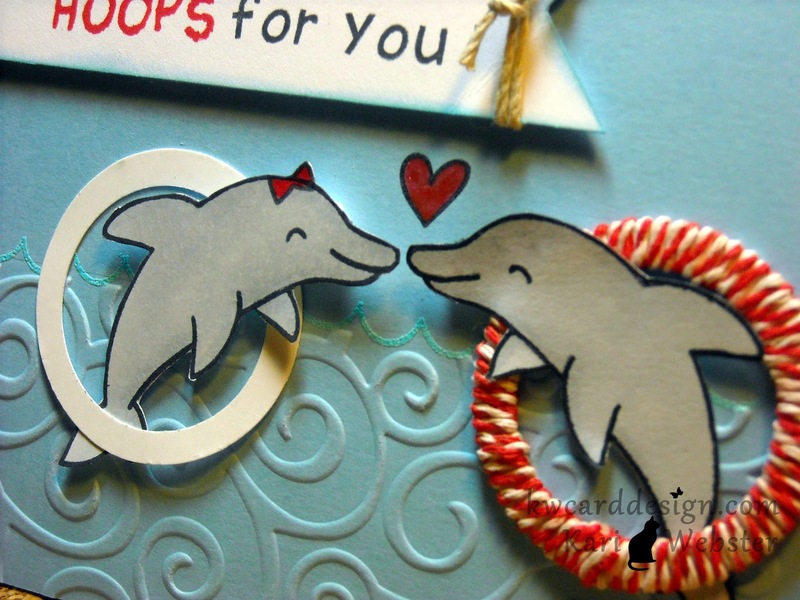 For the male dolphin, I used some Peppermint Lawn trimmings to wrap around the hoop, and left the female dolphin's hoop as is in white. I created my own custom sentiment from "Harold's ABC's". I wanted to add a heart above the dolphins - and then used my red Sukura glitter pen for something "extra". To add "kraft" to my card - I just wrapped some "natural" Lawn Trimmings around my sentiment piece. Hope you all like it and have been inspired! See you soon!